Negotiating legal documents can be a very daunting experience for many people. Financial experts will always try to go through documentation with you in a way which will make it easier for you to understand, but by having a little knowledge yourself, it can make the whole loan process easier. Purchasing your first home is a thrilling experience. There is the excitement of looking for homes and making plans for the future. However, this can also be a stressful time and seeking professional advice is the best thing you can do. This type of loan will have a fixed rate of interest locked in for a fixed period of time. It will also have fixed monthly repayments. If variable interest rates rise, you will be locked into your fixed rate, which can be advantageous for you. If, however, interest rates fall, you will be locked into the higher rate. The repayments on this type of loan are comprised of interest plus a portion of the loan principal, or the amount you borrowed, to reduce the loan. This is the most common type of loan and repayments are set for the life of the loan, usually 25 to 30 years. The lender will need to safeguard or insure against non-payment or default by the borrower. The lender will organise this insurance for you. If you are borrowing more than 80% of the value of your property, LMI will be required. Ask your lender if you can add the LMI to your home loan. By taking out LMI, some lenders will allow you have a smaller deposit to put towards your home loan. LMI is not protection for you, it is protection for the lender and if you default, the insurance company will be after you. The repayments are made up of interest only with this type of loan. 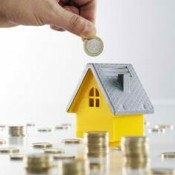 It is usually available for a fixed number of years agreed to between the lender and the borrower. The principal is untouched and will only become part of the loan when the interest only period is over. An offset account links your home loan and savings account. Interest charged on your home loan is calculated on the balances between your savings account and your home loan, thereby decreasing the amount of interest you will pay each month. If you have a home loan of $400,000 and an offset account with a balance of $20,000, you will be charged interest on $380,000. There are many different types of home loans available. Make sure to select the best loan that suits your current circumstances. Loans can always be renegotiated at a later stage with the lender. A mortgage will be with you for a long time, so be aware of all the terminology and read the fine print before entering into any agreement. Buying a home can give you security and become a great investment.